Amnesty International claims that the deal signed to release hunger-striking journalist Mohammad Al-Qeeq is another piece of evidence regarding the deception of Israel’s administrative detention policy. Amnesty’s remarks came following an Israeli military court’s approval of an order confirming Al-Qeeq’s detention for three more months, which can be renewed indefinitely. “The series of latest hunger strikes revealed that trick of Israel’s administrative detention policy, which is predominately used to detain Palestinians without charge or trial is arbitrary and abusive, and proved the absence of charges against them.” the chairman of Amnesty International , Yonatan Jabr, said. Amnesty International, according to Al Ray, condemned the detention policy, calling for the release of all detainees who continue to be held under it. According to Israeli Prison Service, around 700 administrative prisoners were detained since the end of last year. The organization expresses its deep concern at the high number of administrative detainees, recently, and the use of administrative detention policy against Palestinians, where Israeli authorities detain without specified indictments. Additionally, authorities’ refusal to disclose any of the charges against them, claiming them to be secret, impeding the work of their lawyers. Lawyer Khaled Zabarqa said on Monday that the captive journalist Mohammed al-Qiq is now under intensive treatment after he ended his 33-day hunger strike. Qiq ended his hunger strike last Friday after the Israeli prosecution told the military court that there is no intention to renew Qiq's administrative detention which ends on 14th April 2017, the same date of his release. Zabarqa added that Qiq is currently held at Assaf Harofeh hospital in the 1948 occupied Palestinian territories under intensive treatment where he is given hot drinks and supplements to recover. 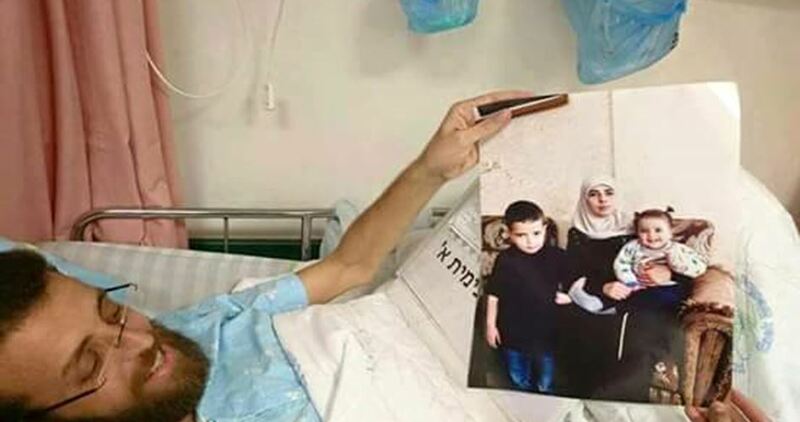 Zabarqa pointed out that the Israel Prison Service informed the hospital that it intends to return Qiq to Ramleh prison clinic, but doctors categorically refused and stressed that he still needs to complete the treatment in the hospital for a period of time. Mohammed al-Qiq fainted twice during the past week due to his hunger strike and suffered many complications including vomiting yellow substance and coughing blood, as well as severe dizziness, chronic headache, and general weakness. Israeli soldiers abducted, on Sunday at dawn, three Palestinians, including a woman and a journalist, from in the central West Bank district of Ramallah. 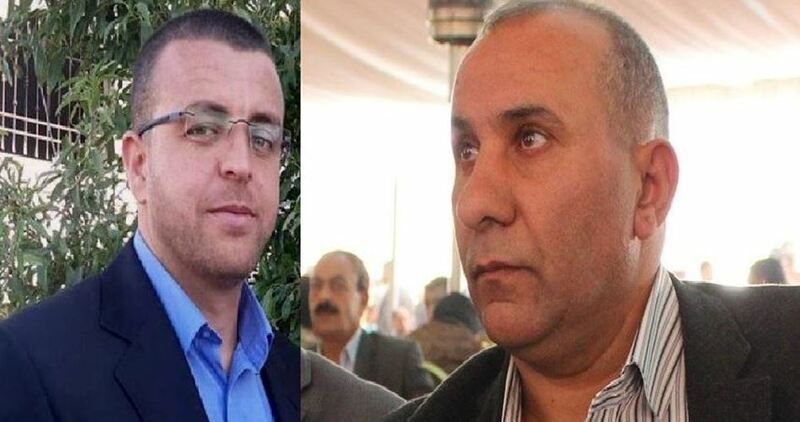 The Palestinian Prisoners’ Society (PPS) said the soldiers invaded and searched homes in Birzeit town, north of Ramallah, searched homes and abducted a journalist, identified as Mos’ab Sa’id ‘Aqab. 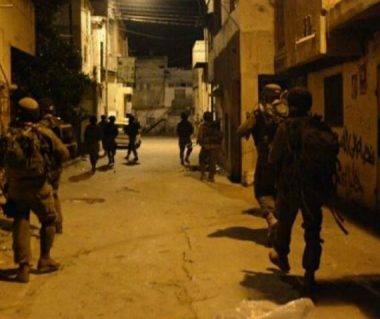 The PPS added that the soldiers also invaded Sarda village, north of Ramallah, and abducted a young woman, identified as Batoul Ramahi, 24, after storming her home and searching it. Furthermore, the soldiers abducted a young man, identified as Osama al-Foqaha, a member of the Student Senate in Birzeit University, after storming and searching his home in Ramallah city. 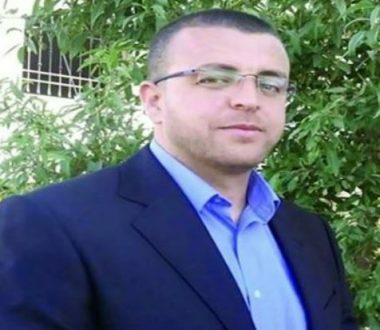 The Palestinian journalist detainee Mohammad al-Qiq suspended his hunger strike on Friday upon reaching a deal with Israeli Prison Service (IPS), his wife said in a press conference that was held on Friday afternoon in Doura town in al-Khalil. Muhammad al-Qiq has suspended his 33-day hunger strike upon reaching a deal with the IPS to be released on April 14, she added. Al-Qiq, 34, started his hunger strike on February 6 in protest at being held in administrative detention, Israel’s widely condemned policy of internment without charge or trial. Al-Qiq was released in May 2016 after going on a 94-day hunger strike in protest at his administrative detention. He was re-detained on January 15 at Beit El military checkpoint, north of Ramallah, and given a new administrative detention sentence. Under administrative detention rules, Israel may detain Palestinians without charge or trial and on the basis of secret evidence for up to six months, indefinitely renewable by Israeli military courts. The Israeli prison authority on Tuesday transferred hunger-striking journalist Mohamed al-Qiq to hospital after a sharp decline in his health condition, according to his family. The journalist’s wife, Fayha Shalash, told the Palestinian Information Center (PIC) that her husband’s lawyer had been informed yesterday of his transfer to Assaf Harofeh Hospital after health complications. Shalash said that hospitalizing her husband was an indication of his suffering from serious health deterioration, affirming that his current hunger strike would be different from the previous one. “Mohamed has staged the current hunger strike while he is still tired and exhausted by the previous one, which lasted about 90 days,” she explained. 34-year-old Qiq has been on hunger strike since February 6 to protest his detention administratively, without indictment or trial. The Israeli occupation army rearrested Mohamed Qiq on January 15, 2017 and decided to rejail him administratively for three renewable months. In November 2015, he had staged a hunger strike for 94 days to protest his administrative detention before he extracted a decision to release him on May 19, 2016. Qiq is a Palestinian journalist and reporter at the Saudi News Agency al-Majd TV Network. He is a father of two children and lives in the village of Abu Qash in Ramallah. He has a master's degree in contemporary Arab studies from Birzeit University. 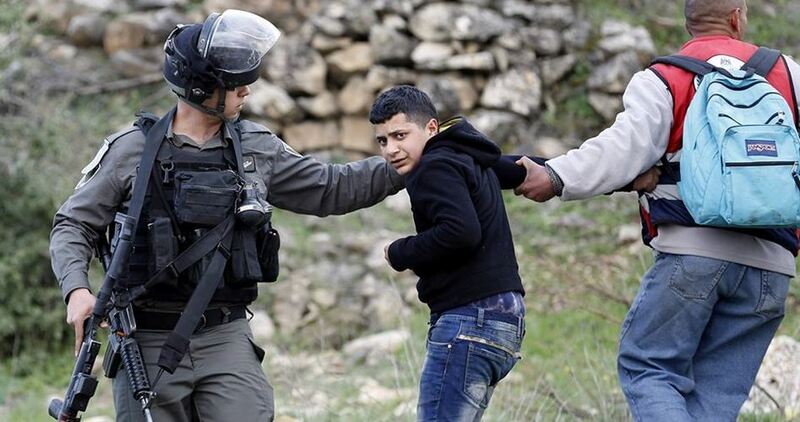 The Israeli occupation forces (IOF) arrested Tuesday afternoon six Palestinians including a child when clashes broke out near Ofer prison in Ramallah. Heavy firing of teargas bombs was monitored during the clashes, leaving a number of protesters suffering breathing problems. Journalists have been also attacked by IOF while covering the events. The Palestinian Prisoners Society (PPS) pointed out that five Palestinian youths and a 13-year-old child were detained and taken to a nearly investigation center. 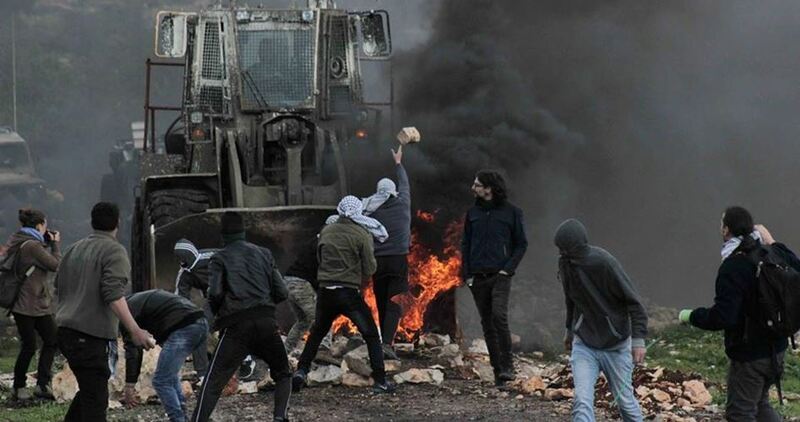 The clashes erupted following a demonstration organized by the students of Birzeit University protesting the IOF assassination of Basel al-Araj in Ramallah on Monday. The protesters chanted slogans demanding an end to Israeli occupation and security coordination between Israel and the Palestinian Authority. Earlier Monday, Basel al-Araj was fatally gunned down by IOF at his family home in the central West Bank province of Ramallah. A Palestinian journalist was injured in Israeli quelling of Kafr Qaddoum weekly march against separation wall and settlement. The march also demands opening the town’s main street which has been closed for 14 years. The coordinator of popular resistance in Kafr Qaddoum, Murad Eshtaiwi, said that Israeli Occupation Forces (IOF) opened gunfire at the marchers wounding correspondent of Palestine TV channel in Qalqilya, Ahmad Shawar. He was injured by a rubber bullet in his head. Medical crews treated him in the field, Eshtaiwi added. Israeli troops unleashed tear gas bombs, in addition to rubber bullets, at participants in the peaceful march leading to many suffocation cases among Palestinians. The family of Palestinian hunger striker Mohamed al-Qeiq sounded on Friday the alarm over his deteriorating health status in Israeli jail. According to the family, lawyer Khaled Zabarqa, who visited al-Qeiq on Thursday, said the hunger striker fell in a faint for one hour on Wednesday. Zabarqa was further quoted as stating that al-Qeiq, on hunger strike for 26 days running, has also been enduring excruciating headaches and dizziness. He added that the Israeli prison service has been locking al-Qeiq up in an isolated cell in Ramla prison. 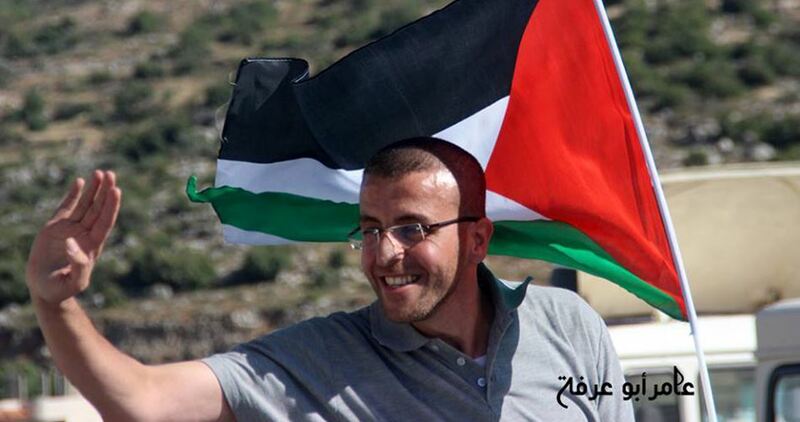 Al-Qeiq has announced an open-ended hunger strike on February 6 in protest at being sentenced to a three-month administrative prison term, with neither charge nor trial, in Israeli jails. He has also been refusing to eat vitamins and to undergo medical checks. Meanwhile, 50-year-old Jamal Abu al-Leil continues his hunger strike, which he started 16 days ago to protest administrative detention. A lawyer from the prisoners’ and ex-prisoners’ commission who visited Abu al-Leil on Thursday, said the detainee has been enduring severe stomachaches and headaches, along with a vertigo. He has also lost his ability to stand on his feet. The lawyer added that Abu al-Leil has gone through a sharp weight loss as he has only been drinking water and refusing to take in vitamins. The lawyer quoted Abu al-Leil as vowing to keep up his hunger strike until he is freed from Israeli prisons. Speaking from behind Ashkelon prison bars, Abu al-Leil appealed to all human rights institutions to take serious action and urge the Israeli occupation to cease its “administrative detention crime” against Palestinian detainees. 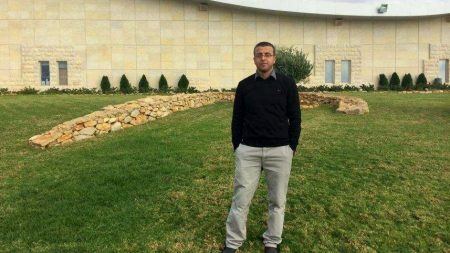 Abu al-Leil was arrested by the Israeli occupation forces on April 12, 2016 and sentenced to several renewed administrative prison terms, which made him declare his hunger strike on February 16. 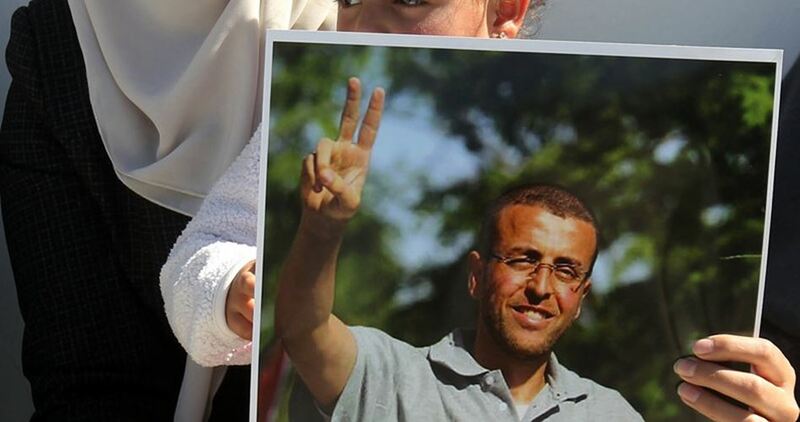 The Palestinian Prisoners Society (PPS) has reported, Wednesday, that detainee Mohammad al-Qeeq, 34, is ongoing with his hunger strike since February 6th, protesting his Administrative Detention, without charges, and is facing a deteriorating health condition. The statement of the PPS came after one of its lawyers visited him in Ramla prison clinic, and said that the detainee is suffering from general fatigue, pain in his muscles, dizziness and regularly vomits yellow liquids. The lawyer added that the detainee, who is also a journalist, is refusing medical treatment, and is determined to continue his strike, despite his bad health, until Israel ends his illegal detention. Mohammad Al-Qeeq was abducted by the Israeli army on January 15, 2117, and was slapped with a three-month Administrative Detention order, without charges or trial. The detainee, a married father of two children, and was repeatedly abducted and imprisoned by Israel, including when he held a 94-day hunger strike protesting his Administrative Detention. Israel is even refusing to sign any agreement vowing not to renew his Administrative Detention orders, an issue that shows plans to keep him held for an extended period without any charges, or trial. A new video by Fayha Shalash, Palestinian journalist and the wife of imprisoned hunger striker and journalist Mohammad al-Qeeq, urges international action for his release.